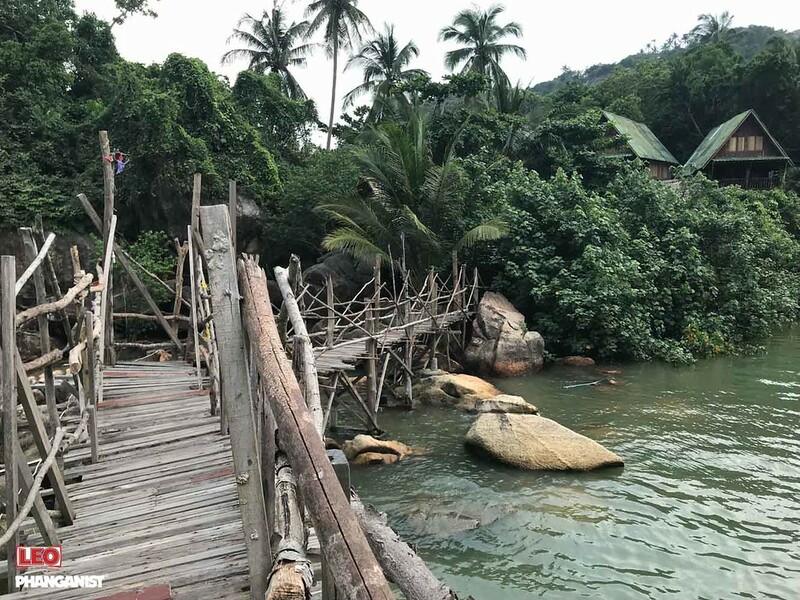 Koh Phangan is a very small island – all its hidden places eventually are revealed to the public. For example the Secret beach that can be found on google maps – is not a secret anymore. Or the Bottle beach is a hard one to get to but still very known amongst locals and travelers. But there are still some places that don’t get that much attention. Or completely lost it. 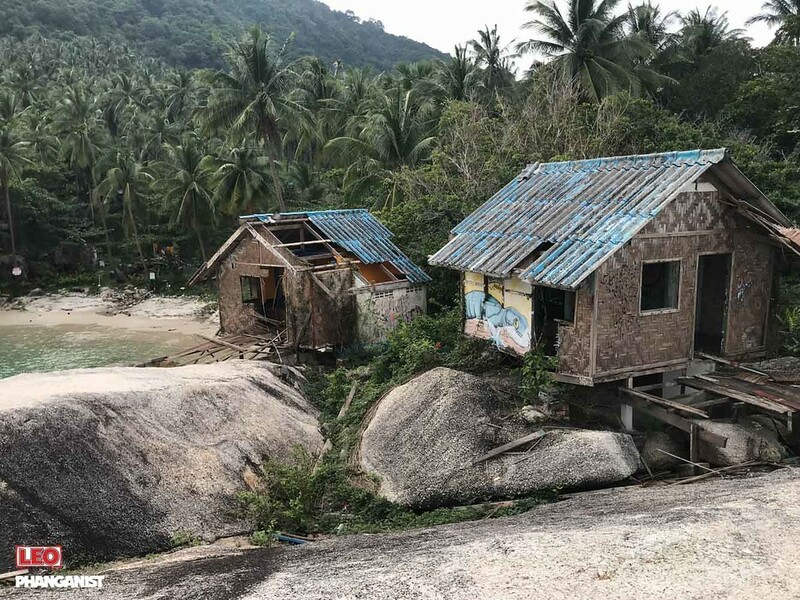 Here is one – beloved but now abandoned beach Haad Thong Reng. 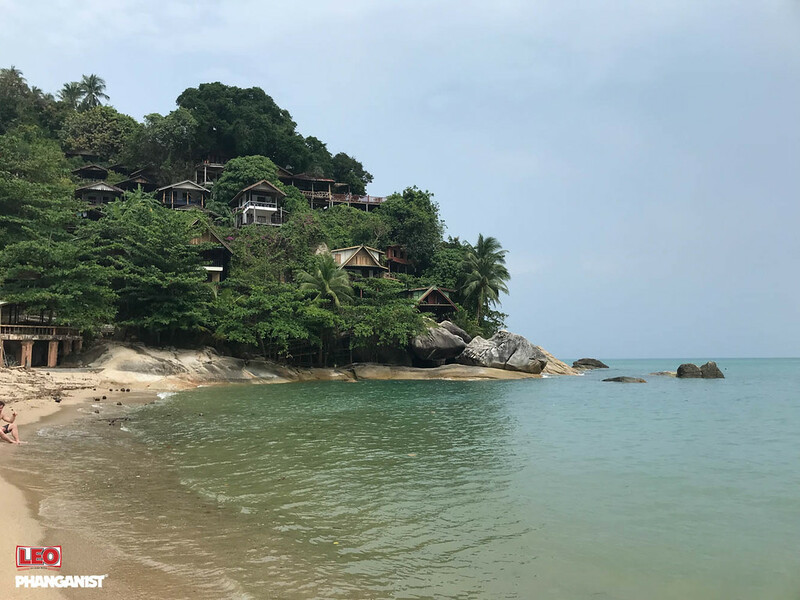 If you head to the East the road through the mountains and jungles will take you to a small but amazing Than Sadet beach. Rocks on both sides of the lagoon, couple of restaurants and resorts. Also water here is pretty deep – so you can go diving. On the right side of the beach you’ll notice a wooden bridge. But to get to it you will have to swim across the river. 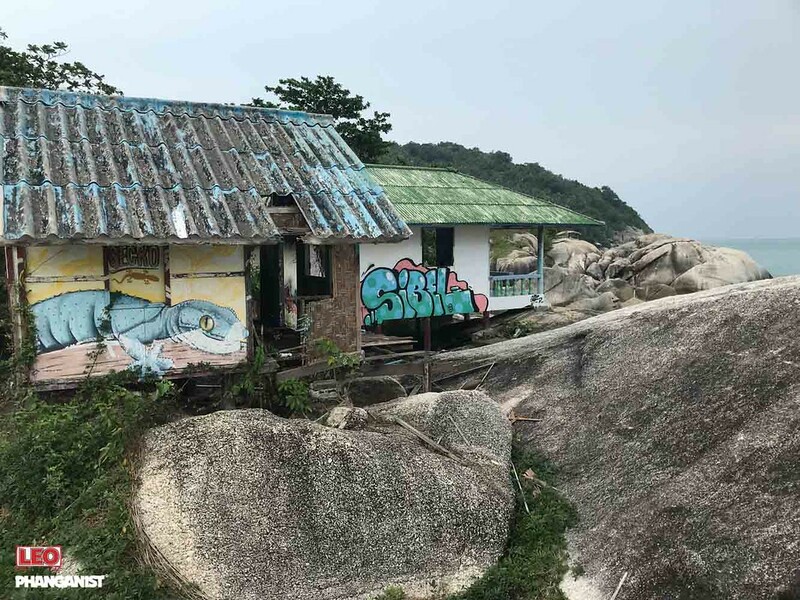 That’s what I did, risking to drown the phone – but I really wanted to have the pictures of the places that is known as the abandoned resort. Crossing the bridge I got into the jungle. And there between the rocks I saw wooden huts. No windows, some had locks on the doors, others were open. Inside you could see even mattresses, bottles of water on the tables and rolls of toilet paper. As if people left this place at once. But the electricity was still working – so that was quite painful to touch the switches. I kept climbing up the rocks to see the view. 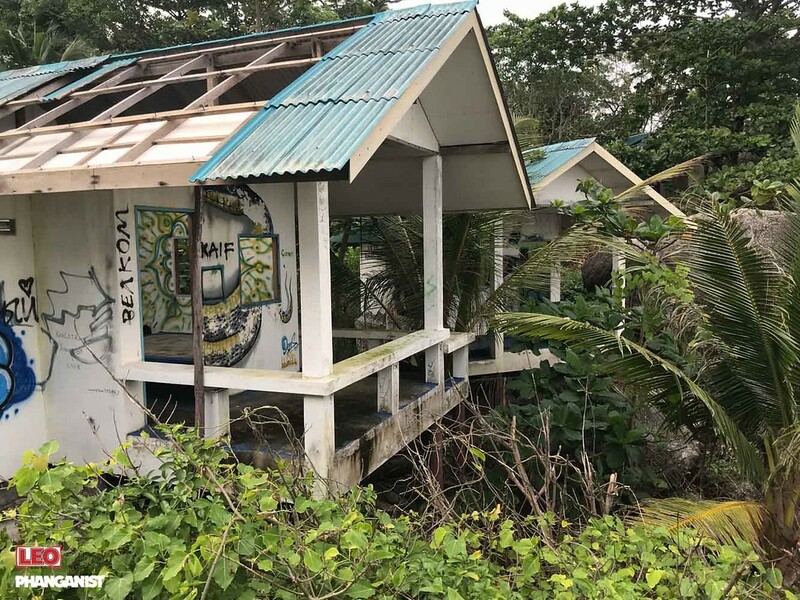 And there were more and more huts, covered with graffities (one even had the date – year 2017) and completely abandoned, some half-destroyed. But all of them had an amazing view overlooking the sea. So why people left this place, I wondered. And then on the highest rock I saw a breathtaking panoramic view of the small beach - Haad Thong Reng. Truly a secret beach – as no one was there. Only the sand, the sea and signs saying that was the private territory. On the way back I kept thinking – what might have happened to a resort in such a unique and beautiful place? Why leave a secret lagoon as the travelers love spots like this? I did some digging on the Internet. And found an article about this place with photos of the time when the resort was still operating – and believe me, that place looked amazing. That was known as JS Huts. But then I found a lot of complaints about this place back from 2010. How the owners of the hotel were scheming with rented bikes, harassing those who wanted to leave earlier and even attacking them. Probably bad stories about this place scared the clients away and led it to bankruptcy. So now that beach is a hidden gem of the island – and I really hope it will be rediscovered.